Cedar Key’s reputation as a Gulf fishing destination is unparalleled. This archipelago of small islands juts into the Gulf of Mexico about 60 miles west of Gainesville and provides fishermen excellent access to both inshore and offshore waters. 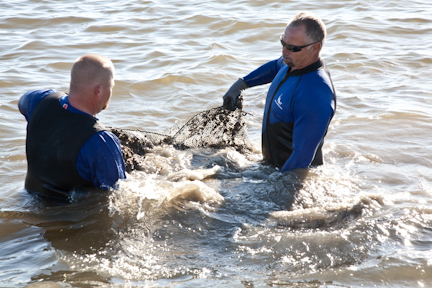 In addition, Cedar Key has become one of the largest producers of clams in the U.S. Clam boats are able to work all seasons and the warm and untainted Gulf waters ensure a quick-growing and quality product. Clam leases surround the island and support a growing percentage of the town’s population. Cedar Key clam farmers pull bags of ‘finished’ clams after 2 years in the water. 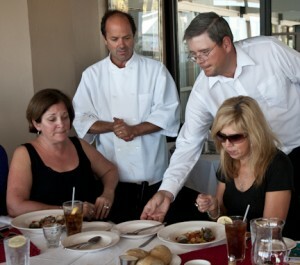 Don’t miss a meal or two of Cedar Key Clams when you’re here. And when you come, plan to stay a day or two longer to enjoy some great lodging experiences, like The Island Hotel, where you might encounter a real ghost. You’ll also be able to enjoy their Island Hotel Original Heart of Palm Salad or any one of their clam dishes. Nature’s Landing Condos also has some excellent and convenient lodging, by the day, week or month. 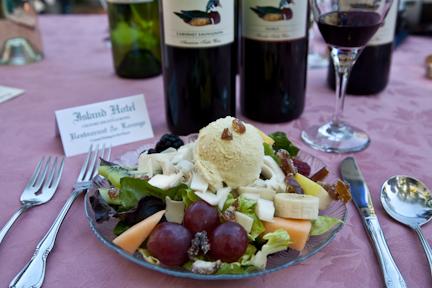 Delicious heart of palm salad at the Island Hotel in Cedar Key, FL. The ‘secret topping’ is lemon sherbet mixed with crunchy peanut butter! Other excellent choices at ‘Clamalot’ are the award-winning Clam Chowder at Tony’s or one of the many clam dishes at Chef Peter Stefani’s Island Room. 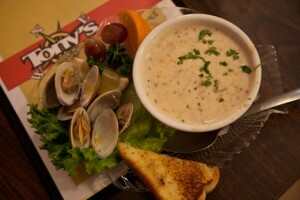 Tony’s clam chowder has won many awards for the best clam chowder. I can vouch for Cedar Key as a spot you wouldn’t want to miss. They have the best clams, mullet, grouper and best alligator to eat. People that live there are the best.